You will find our Ford C Max Zetec TDi prices are some of the cheapest throughout the UK. 5-star Euro NCAP Car rating : Both C-MAX and Grand C-MAX have achieved maximum official independent ratings for safety. Ford Easy-Fuel : No dirty fuel caps to touch. Plus Ford Easy-Fuel with its unique safeguard helps prevent you accidentally filling up with the wrong fuel. 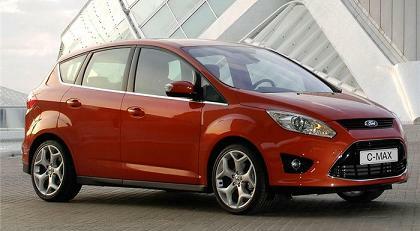 Special Offer Prices: Ford C-Max 1.6 TDCi Zetec rates based on contract hire or private car leasing over 36 Months. 10,000 Miles pa - Other miles available. We will be happy to provide you with a lease car quote based on an alternative plan, mileage or contract term. We're constantly reviewing and updating our prices to ensure you get the best leasing deals available. Please note, prices shown do not constitute an offer - please contact us for a formal quote.